Home » Global » Chávez lives! 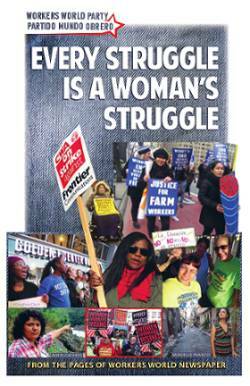 The struggle continues! Organizations opposing U.S. intervention in Latin America and the Caribbean held a rally in solidarity with Venezuela’s Bolivarian Revolution in San Francisco’s Mission District on March 5: “On the second anniversary of Hugo Chávez’s death, we celebrate his legacy, embodied in the people and their struggle.” Several dozen people heard speakers describe Washington’s latest attempt to support a coup against democratically elected President Nicolás Maduro. The crowd chanted, “¡Chávez vive vive! 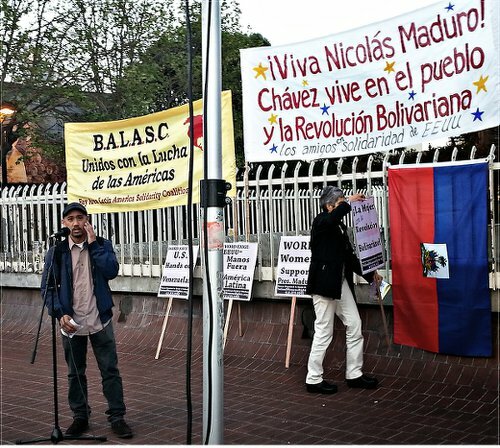 ¡La lucha sigue sigue!” (“Chávez lives! The struggle continues!”).